How to Rip DVDs with Forced Subtitle for Foreign or Alien languages on Windows 10 macOS High Sierra, Mojave? I want to put my DVD collection of 600 discs onto my PC hard drive so as to copy, from time to time, titles to a USB Flash/Thumb drive for use in my cinema or rip DVDs to Apple TV as well as ripping to smart TVs. I’ve tried the following DVD Rippers: Acrok DVD Ripper, Freemake Video Converter, and each has its own problems. Part of my collection contains war films where the German, Russian or Japanese language is spoken as in for example Tora, Tora, Tora and The Longest Day, and where the appropriate English subtitle appears at the bottom of the screen so the viewer can understand what is being said. However, none of the rippers/converters seem to transfer from the DVD to the PC hard drive the individual language translation subtitle element and to get or engage a translation the subtitles appear for the whole film including when English is spoken which is not required. 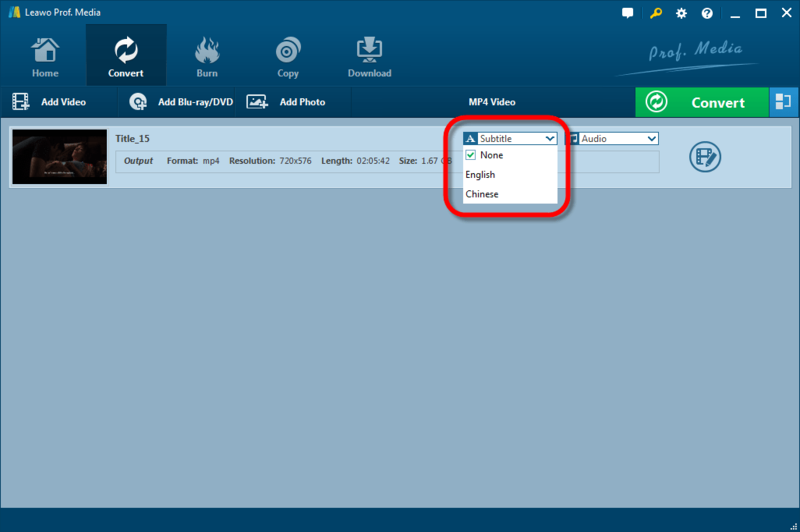 Updates: if you are using DVDFab, and want the forced subtitle as always, check this guide for help. While we are watching DVD movies, when there is foreign or alien is spoken, there will be subtitles for you so you can understand what they mean and those kinds of subtitles are called Forced Subtitle in DVDs. When you are watching the famous 3D file Avatar and a Na’vi is speaking their own language, there are always subtitles for us to understand what they are talking about. Those subtitles are called Forced Subtitle. While ripping DVD to MP4, I’d like the forced subtitles at points in the film where the action takes place in another country. Watching the DVD directly, the subtitles appear automatically when the actors start speaking alien or other languages. I don’t want subtitles throughout the movie, just the ones that appear like they do normally when the language switches over. What I’d like to recommend today is a DVD ripping program for both Windows and Mac that is able to rip DVDs with just the subtitles for the spoken foreign or alien language. Here is the guide on how to rip DVDs with Forced Subtitle. Step 1. Follow the Free Trial button above to download the Forced Subtitle DVD ripper, install and launch it. Please note what you download will be Leawo Prof. Media as an all-in-one app for all Leawo programs. DVD ripper is one of the component. Choose DVD ripper in Leawo Prof. Media. Step 2. Load DVD. 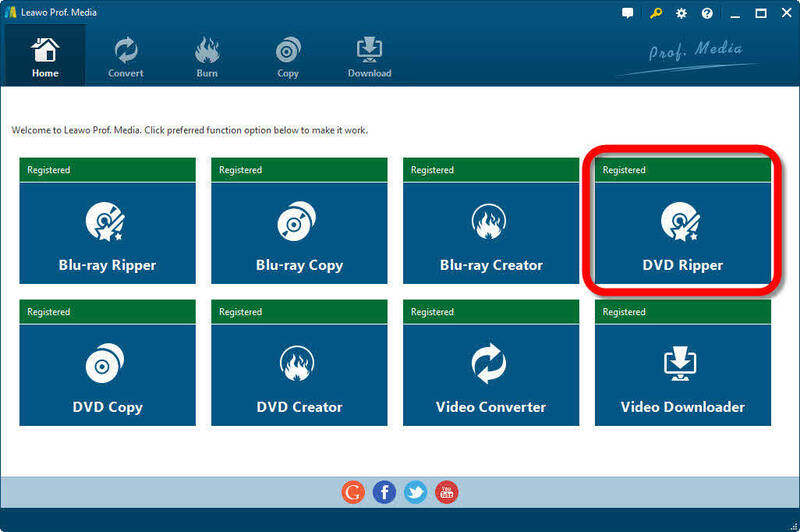 Click the “Add Blu-ray/DVD” button and then locate the DVD drive to add DVDs from “Add from CD-ROM” option. You are also able to add a VIDEO_TS folder or an ISO files for ripping from the options “Add from folder” and “Add iso file”. Drag-and-drop is supported as well. Step 3. After a DVD is loaded, the program automatically select the right title for you with a preview window for you to choose Main, Full or Custom movie before ripping. Main Movie comes as default and is recommended for movie DVDs. Step 4. After the DVD is loaded, go Subtitle and make sure None is checked. If the DVD has forced subtitle track, there will be forced subtitles for alien or foreign language being spoken. If the DVD has NO forced subtitles, there will be NO subtitle in the output file. Using Leawo, the forced subtitle DVD ripper, it is as extremely easy to have forced subtitle only. Please note, if you check English or other subtitle for ripping, you will have that subtitle all the way though the movie. Ripping DVDs with Leawo DVD Ripper, you won’t forget the subtitle for with foreign or alien languages as it comes the default settings. However, after ripping some DVDs with foreign or alien languages, while I am watching them, I find no subtitles are shown at all. These DVDs are: District 9, The Martian, Woman in Gold, 2012, Independence Day, Alien, LOTR Extended Edition etc. I see no common point in those DVD movies, but after a couple of tries, I see what is the problem is and how to solve the issue with no forced subtitle shown on ripped files. I have tested the above mentioned disc and find that those discs just don’t have a separate forced subtitle track as others and those DVDs hide the actual forced subtitle into normal subtitles which will be shown normally as English, German etc. So surely the program is NOT to be blamed but those DVDs do give us trouble. What we need to do is to play the DVDs with check the actual forced subtitle among the normal ones. From my experience, I see that some DVDs has more than one subtitle tracks for the SAME language. Well, this is interesting as we just don’t need the same language track more than once. And from my test, the second same language for subtitles is usually the forced one that is hidden into normal ones. So, we just have to pick the second one and preview it with the built-in DVD player and that’s it! Go for it!